With more than $1B in new commercial and multi-residential projects in the last decade, Sarasota has been on an incredible trajectory of growth. 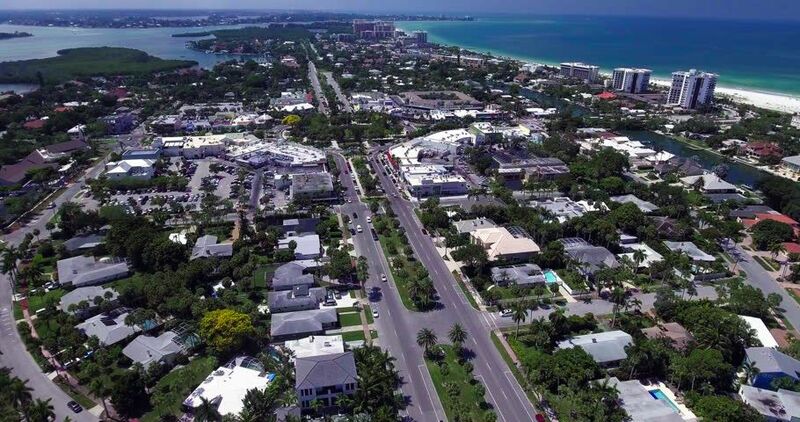 As one would imagine, this magnitude of growth has expanded way beyond the boundaries and borders of Sarasota. Surrounding areas of Lakewood Ranch and Benderson Development Co. (surrounding the Mall at University Town Center) have also been the lucky benefactors of this billion dollar expansion. It may come as no surprise that the two largest growth sectors are multi-family residential rentals and hospitality projects. In Sarasota alone, more than 1,000 new hotel rooms and over 1,400 new apartments have been built since 2013. In addition, if all new and potential condo projects are built, there will be an additional 700 residents downtown. As additional residents and tourists increase demands for shopping and restaurants, areas surrounding Sarasota, including University Town Center, have developed an abundance of new office and industrial space. The largest new block of office space will measure roughly 11,000 square feet and be part of The Kolter Group’s 12-story The Mark mixed-use development downtown. The 1659 Second Street project, from developer Biter Enterprises Inc., will add 90 new multifamily apartments upon completion later this year. Four new office buildings in the Sarasota/Bradenton submarket contain a combined total of 148,237 square feet and were 77.4% pre-leased prior to the commencement of construction. There is only 2.6% of vacant industrial space available in Sarasota and Sarasota County as of Dec. 31, out of a market of 14.2 million square feet. 375,855 square feet of retail space was under construction in the Sarasota/Bradenton submarket at the end of 2018. Of the 14 buildings, 76.2% were pre-leased prior to the start of construction. $16.49 is the asking price per square foot for all retail space in the Sarasota/Bradenton submarket at year end. By comparison, the average rental rate in the Tampa/St. Pete area was $15.80 during the same period. For additional information on the real estate market, feel free to contact us directly at BrandyCoffey941@gmail.com or 941.404.4737.